A month is a long time in football, even in June when there’s usually nothing happening. Except at Leeds United, when it’s never safe to turn your phone off and go to sleep at 11pm in case we sack someone, hire someone or redefine legal precedent in some bizarre way. One month ago we were all in a pretty dark place; asking ourselves why Garry Monk didn’t want us anymore and feeling pretty vulnerable and apprehensive about what the future held. Since then we have learnt a lot, and most of it good. It’s safe to say that Thomas Christiansen could have walked into the Peacock a month ago and ordered a pint of Yorkshire Blonde and nobody would have batted an eyelid. Even now most people would maybe afford him only a second glance as he sat down with his family for Steak Night, and dismiss him as somebody who had sold them a fitted kitchen package from B&Q a couple of years ago. He has a face we recognise, but is not yet someone we can immediately identify. 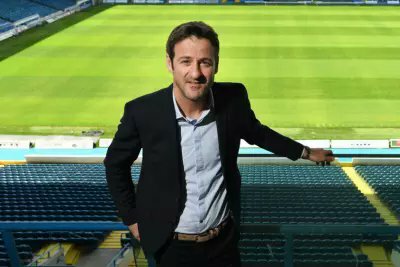 It was hard not to feel a little bemused by Christiansen’s unveiling. Literally nobody can claim to have been aware of him and his track record. We all had to undertake a swift Google search upon hearing the news. But his pedigree is decent and he is a credible appointment, if a little leftfield, but certainly with no Championship coaching experience, he will need a lot of things on his side. What is encouraging is that Christiansen will have an insatiable hunger for the job. He is well thought of and highly respected in football and this is his first big job. At 44 years old, he has something to prove, a challenge to face and a name to make for himself. When you consider some of the other names that were linked with the job: Alan Pardew, Nigel Pearson, Juande Ramos, even Claudio Ranieri, while they have a lot more coaching experience, you sensed being appointed as Leeds manager would have been ‘just another job’ to them. There is a huge merry-go-round of managers who simply skip from job to job and never stay long enough to make an impression; just pick up a sizeable pay cheque based on past reputation. With Christiansen, we almost have a blank sheet of paper and he can write his own history. So far squad recruitment has been encouraging and the calibre of players Leeds are being linked with is a notch up from previously, but there are still big holes in our squad and a lot of hard work is required behind the scenes if we are to approach the first game of the season with confidence. And that first game is creeping ever nearer. Fixtures release day is always an exciting one at the Peacock as we await news on when we can expect the first mass influx of Leeds fans through the doors since last May. There is a friendly fixture v Oxford United at Elland Road on July 29th of course, but that will be like a day in Kindergarten compared to the cacophonous sensory overload that is a proper full-on Leeds United matchday. That day will be Saturday August 12th when Preston North End are our visitors, while the following Tuesday (August 15th) we welcome Fulham to Elland Road. Before you know it we will be right back in the groove, with a sea of happy faces, a landscape filled with yellow, white and blue, live music pumping out of our beer garden and happy revellers dancing off to the ground with a happy expectation of three points for the Whites. Of course we couldn’t let this blog post pass without mentioning the other seismic announcement coming out of Leeds United in the last few days. This was something that went far beyond hiring another manager, or buying a player, or releasing another new all-white home kit that was ever-so-slightly different to the previous one. This was something that brought the very fabric of the club back under its own control, something that put the heart and soul back into Leeds United, and something that all three previous owners had promised to do but not got anywhere nearer than simply making empty promises in the media. This was something that made Leeds United whole again; after 13 years in the hands of an anonymous owner, Elland Road was back under the ownership of Leeds United. It was an emotional day for all sorts of reasons. This news was about more than just bricks and mortar; it was righting some wrongs and making our house our home again. 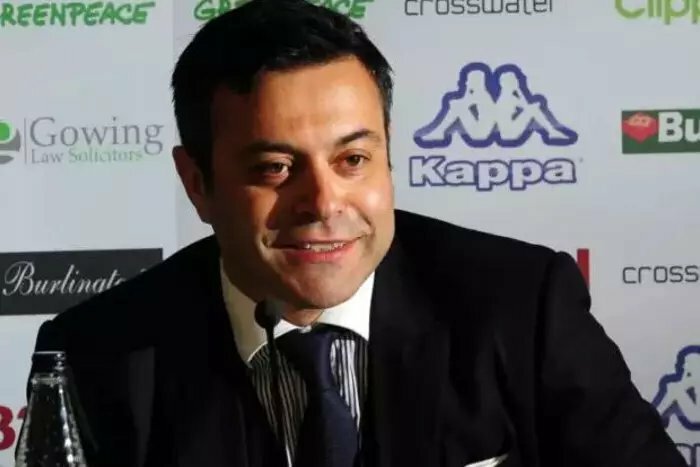 It was a bold move of Andrea Radrizzani to announce his intention to buy back the stadium so early in his tenure. We have been burned before in exactly the same way and his reign was open to irreversible ridicule if he fell short of his promise, which he will have known, and this is why I was quite confident he would come up with the goods. Whatever happens now, Radrizzani has delivered something significant that no other recent owner could do, and it has instantly made the club stronger, both financially and structurally. It has also bought him some time and some patience from Leeds fans who can maybe see the bigger picture, and sense where the club is now heading. It’s true that nobody wanted Garry Monk to leave after the progress seen last season, and we were dealt a blow. But events since then have been a fantastic response and now Leeds United are looking lean and mean; fighting fit and fighting back. 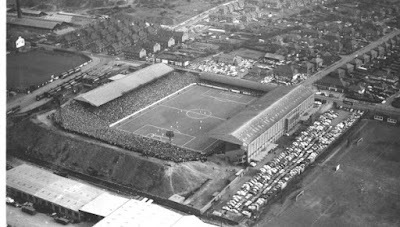 So let’s keep building in July and by the time August comes into view we expect to see Leeds United very much in the same state as our pub; ready to explode into action.